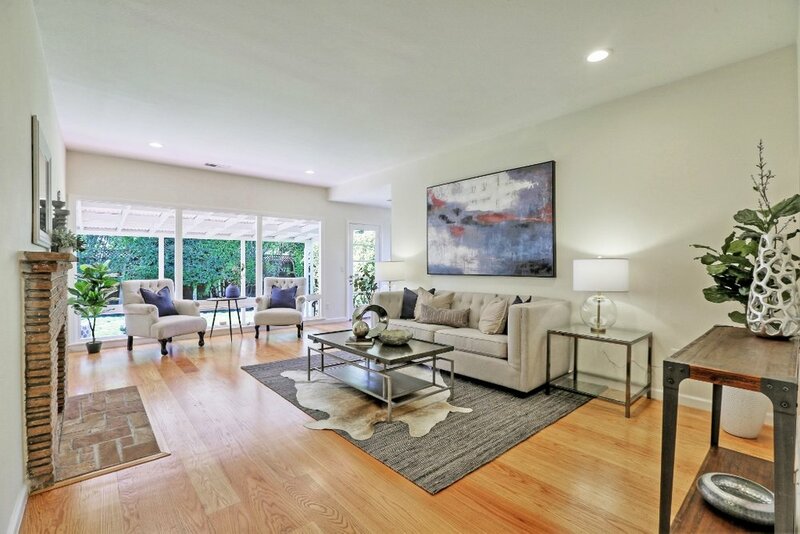 Embraced by high ceilings and windows on all sides, this cheerful and sophisticated 4 bedroom, 3.5 bath home features a gracious split-level floor plan, spacious rooms and a beautiful backyard, presenting the perfect backdrop for gatherings and outdoor relaxation. The striking exterior boasts tremendous curb appeal, with a newly landscaped front yard and fresh coat of paint. Inside, the living room is inviting and spacious, with a cozy fireplace and wall of windows extending into the open dining room. Direct access to the backyard sets the stage for indoor/outdoor entertaining. 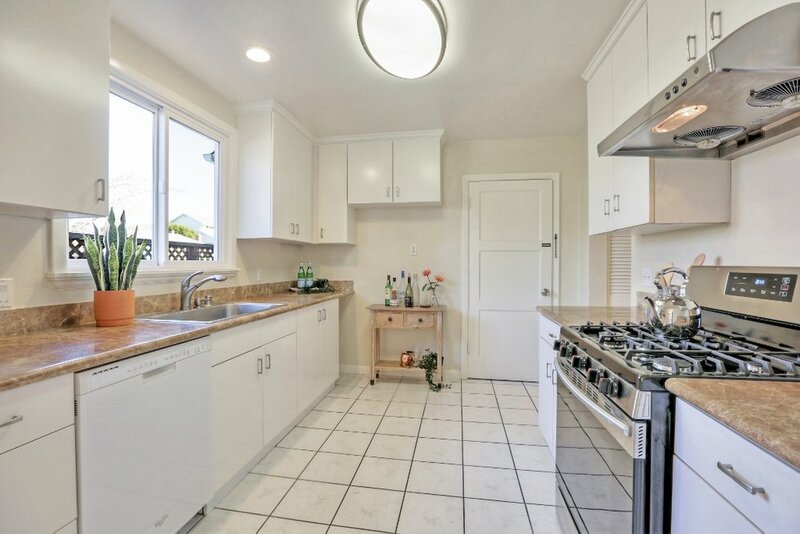 The sunny dining room flows into a well-appointed kitchen with a gourmet gas range and sweeping countertops. Down the hall are two large bedrooms on opposite ends, one facing the neighborhood and one overlooks the lush garden views. The upper level is a well-designed addition to the original floor plan. Up a graceful wooden staircase, an open and generous mezzanine room can be used as a family room or home office. This level has two tranquil bedrooms, including a bright and airy master with an en-suite bath. In the expansive backyard, a covered patio provides a relaxing space to socialize and enjoy the view of the well-maintained landscape. 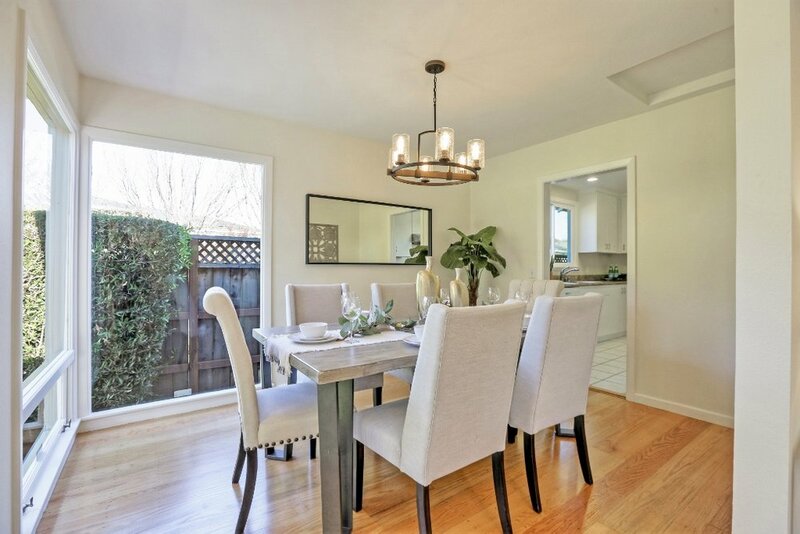 Ray Park is one of the most desirable neighborhoods in Burlingame. It is known for its great schools and proximity to popular restaurants, charming boutiques and downtown. 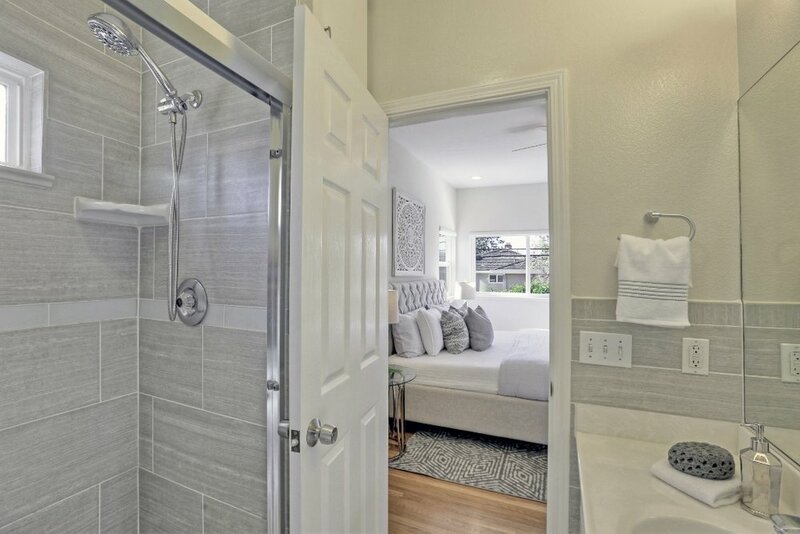 Easy access to major freeways and Caltrain make for an easy commute to San Francisco or the South Bay.